He wants Republicans controlling the “political apparatus” and the “governmental apparatus” of voting. As the chairman of the Republican Governors Association and the self-appointed surrogate-in-chief for the Grand Old Party’s candidates for the top jobs in states across the country this fall, Chris Christie has plenty of reasons to want embattled governors like Florida’s Rick Scott and Wisconsin’s Scott Walker to be re-elected. Yes, yes, Christie wants to elect governors who will stop all this talk about raising the minimum wage. Yes, yes, Christie wants to elect governors who will “start offending people”—like school teachers and their unions. But that’s not all the New Jersey governor wants from his fellow Republican executives. 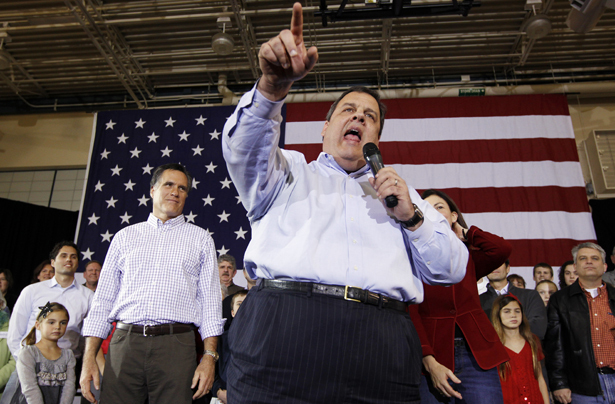 Among the reasons he mentions for electing Republican governors, says Christie, is a desire to put the GOP in charge of the “voting mechanism” of likely 2016 presidential battleground states such as Florida and Wisconsin and Ohio.. In a remarkably candid speech to the US Chamber of Commerce’s Institute for Legal Reform this week, Christie acknowledged a fact that politicians often avoid: the governor of a state, particularly a governor with allies in the legislature and key statewide posts, can play a big role in deciding how easy or how hard it is for working people, minorities, seniors and students to vote. The governor, who despite his many scandals still seems to imagine himself as a 2016 Republican presidential prospect, described the gubernatorial—and presidential—stakes to the friendly crowd. Florida, Wisconsin and Ohio are politically competitive states—contested by both parties in presidential years, often producing close finishes that are ultimately resolved by which side is better at getting its supporters to the polls and getting their votes counted. The Republican ticket of Mitt Romney and Paul Ryan lost all three states in 2012, as they did most other battlegrounds. Two of these states, Florida and Wisconsin, have dead-heat gubernatorial contests this year. Races are close, as well, in battleground states such as Michigan and Colorado. And polls place a Democratic challenger well ahead of the incumbent Republican governor in the frequently competitive state of Pennsylvania. These 2014 races are consequential for 2016, Christie told the Chamber group. “All of those things are incredibly important,” Christie concluded. No one can argue with him on that point. Battles over Republican proposals to alter the “voting mechanism” have rocked states across the country over the past several years. Hundreds of proposals that civil rights, voting rights and good government groups say could make it harder to vote have been advanced since the 2010 “Republican wave” election, and dozens have been implemented. Media reports tend to focus on Voter ID laws, and the legal wrangling over those initiatives extended deep into the 2014 election season—just as it could continue deep into the 2016 election season. But requirements that citizens obtain and present particular forms of identification in order to cast ballots are only the beginning of the long list of voting mechanisms that governors can and do have influence over. * Voter ID provisions so strict that a federal judge determined that they violated the Voting Rights Act and the U.S. Constitution—and that the US Supreme Court has now put on hold. * A radical gerrymandering of congressional and legislative district lines that has also been challenged in the courts and that in 2012 produced a circumstance where substantially more ballots were cast for Democratic legislative candidates but Republicans remained firmly in control. * A shift in the primary election date so that primaries were moved from September to the peak vacation month of August—when many Wisconsinites are away from home and college students are generally on break. * Constraints on early voting that limit the number of hours available for evening and weekend voting, which in recent years have been prime times for working-class voters to cast ballots. Walker’s legislative allies are now openly condemning the state’s nonpartisan Government Accountability Board—which is charged with overseeing elections—and talking about taking steps to force its director out.